IBG Business and its principals have been widely honored by business groups, professional associations and peers. These distinctions demonstrate our unyielding commitment to sellers, buyers and the business communities we serve as well as the profession as a whole. Please consider the importance of our lifelong record of high achievement, leadership, and success when choosing an M&A Broker to help deliver maximum value and peace of mind with your business transaction. Awarded only when warranted, no more often than annually, the prestigious Darrell Fouts Award recipient is selected for exceptional leadership and personal contributions to expanding the vision of the M&A Source and the M&A profession itself. John C. Johnson of BluestemUSA was presented this prestigious award, as its third recipient in the first five years the award existed. Gary Papay was presented with the Darrell Fouts Award in 2016. The M&A Source is the world's largest international organization of experienced M&A intermediaries dedicated to representing middle market companies. Members include top M&A Brokers, merger and acquisition intermediaries and advisors from approximately 20 countries around the world. Awarded for certified middle market M&A expertise earned through proficiency, documented middle market transactions experience and upper level professional education. This prestigious designation, known to be "The Professional Standard in Mid-Market Transactions," is offered through the M&A Source, the leading professional association of hundreds of top middle market business intermediaries from around the world. 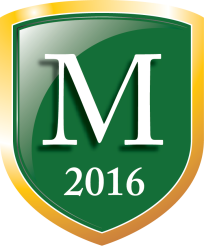 M&AMI is regarded as the world's premier professional designation for M&A professionals. IBG M&A advisors Gary Papay, Jim Afinowich, John Zayac, and John C. Johnson have all earned this certification. In fact, John Johnson and Gary Papay earned their M&AMI in the first selection of 10 such designations ever awarded. The Tom West Award is the business brokerage profession's highest honor. IBG Business is honored to have two of its founders as recipients of this prestigious award, Gary Papay and John Johnson. It is awarded annually to one member of the business broker profession to recognize exceptional contributions in promoting the goals and ethics of the IBBA and the business brokerage profession. The award is named after founder, first president, and long-time leader Thomas L. West, who is credited with the profession's early growth, creating a group of founders for IBBA, developing the IBBA and the stature of the profession. IBBA is the world's premier association for professionals in business brokerage and mergers and acquisitions with members across the U.S. and in more than 14 other countries. As the leading association for business intermediaries, it advances professional development, educates, provides resources and promotes high ethical conduct. It sponsors national educational programs and collaborates in grass roots programs benefiting business communities across the country. The United States Small Business Administration's Financial Advocate of the Year recognizes one member of the Oklahoma business community for valuable contributions through advocacy in the area of financial services. The selection is made from nominations submitted statewide by chambers of commerce and other business and community organizations. IBG Business is pleased that founder and M&A Broker John C. Johnson was selected as winner of this award by the U.S. Small Business Administration. 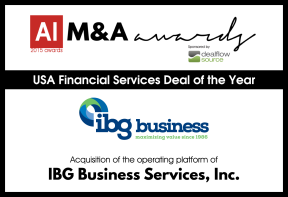 IBG received the 2015 Acquisition International M&A Award "USA Financial Services Deal of the Year" for being one of the few selected firms who worked tirelessly behind the scenes to bring acquisitions, mergers and transactions to successful conclusions. The track record of IBG Business's professionals is inspiring. That includes performance in lead advisory roles in over 1,100 successful transactions, respected status as leaders within the professional community and award winning recognition for excellence and visionary leadership. They demonstrate a "proven performers" track record as a guide to what clients may expect as IBG performs for them. IBG's Partners are pleased to have been recognized with the award for Financial Services Deal of Year - USA. Gary Papay noted, "We knew it was in the best interests of our clients to accomplish the bringing together of our four business into one and acquiring such a highly respected M&A operating platform. The M&A Advisor named IBG’s Jim Afinowich and Bruce Black as finalists in The M&A Advisors 15th annual mergers and acquisitions awards selections for the Alpine Valley Bread Company sale to Flowers Foods. M&A Brokers, advisors, dealmakers and investment bankers were considered based on creativity, perseverance, and ingenuity in the mergers and acquisitions profession. IBG Business M&A brokers were selected as Most Outstanding M&A Broker Services Firm for the USA by Corporate Livewire, sponsored by Deal Market. Corporate Livewire is an international publication featuring information on investment bankers, corporate acquisition advisors, business brokers, mergers and acquisitions – M&A - Brokers and business sale process and transactions. IBG Business' Jim Afinowich of IBG-Fox & Fin has won this people's choice award as Arizona's best business brokers for 15 years in a row. Ranking Arizona is based on the popular vote of the general public and managed by the staff of AZ Big Media. Voting is conducted on-line by interested members of the public. In the latest rankings, released in 2016, IBG-Fox & Fin received the most votes among many companies in the "Business Brokers" category. Companies pay no fee to be listed within a category or to receive a ranking. IBG Business founder and M&A Broker, John C. Johnson, was selected as a finalist in the Tulsa Metro Chamber's annual competition for the Small Business Person of the Year. The Tulsa Regional Chamber is a group of almost 3,100 reputable members - the best and brightest companies in the region - who are investing in their businesses and the region's communities. The Chamber transforms resources into results, and members surround themselves with successful, forward-thinking leaders who provide valuable connections to grow businesses. This award is given by the board of directors of the International Business Broker's Association to recognize tenured commitment to the profession and its leading professional association. IBG's founders John Zayac, Jim Afinowich, Gary Papay and John C. Johnson are passionate leaders to the profession and each has been selected to receive this prestigious honor. IBBA, the world's largest association for professionals in business brokerage, and mergers and acquisitions, has more than 1,200 active intermediaries across Canada, Mexico, Asia, Europe and the United States. This group is the leading association for business intermediaries providing resources, education and professional development. Association for Corporate Growth’s AZ Chapter selected Flowers Foods’ acquisition of Alpine Valley Bread Company as its Deal of the Year. The award recognizes a company for their accomplishments regarding a merger, acquisition or capital market transaction. Jim Afinowich and Bruce Black managed the $120 million cash acquisition on behalf of the seller. Finance Monthly magazine awarded its Deal Maker of the Year Award to John Johnson – OK M&A broker and advisor and principal in IBG Business - Tulsa. The award was for managing the merger and acquisition transaction selling the business, APSCO, an OK manufacturing business. John Zayac, CEO of International Business Group, Ltd, was pleased the firm was selected as the "Privately Owned Business M&A Firm of the Year - USA" by Acquisition International Magazine recognizing IBG's industry leadership among the "dedicated, forward thinking and determined award winners." This award is decided by a vote of global M&A professionals, advisers, peers and industry insiders. Based solely on merit, the award is presented to the most deserving for outstanding work by firms truly representing the fascinating and ever changing business landscape. Business Brokerage Press designates industry experts in its annual Business Reference Guide. Gary Papay is a designated Liquefied Petroleum Gas Expert and is also selected for convenience stores, and heating oils and fuels. The Tulsa Office of IBG Business founder and M&A Broker, John C. Johnson, was honored with the 2014 Best of Tulsa Awards for Business Brokers by the Tulsa business recognition program. The Tulsa Award Program is an annual awards program honoring the achievements and accomplishments of local businesses throughout the Tulsa area. Recognition is given to companies that consistently use best practices and have implemented programs to generate competitive advantages and long-term value. The Tulsa Award Program was established to recognize the best of local businesses in our community. It works exclusively with local business owners, trade groups, professional associations and other business advertising and marketing groups. The mission is to recognize the small business community's contributions to the U.S. economy. John C. Johnson, principal and M&A Broker in the IBG Business Tulsa office was pleased to announce that his firm was selected by Acquisition International as the "M&A Broker of the Year - USA." This award is based on industry research and a vote of global M&A professionals, M&A advisers, peers and industry insiders. It is merit-based and is presented to the most deserving firms representing the mergers and acquisitions business. Acquisition International recognizes industry leaders in the "dedicated, forward thinking, and determined" M&A award winners. International Business Brokers Association's (IBBA) esteemed President's Award is selected annually for that member who was the key leader and contributor to the profession's association. It recognizes exceptional leadership in the view of the IBBA's President and awarded to both Gary Papay and John C. Johnson, founders and M&A Brokers of IBG Business. IBBA, the world's largest association for professionals in business brokerage and mergers and acquisitions, reached more than 1,200 active intermediaries across Canada, Mexico, Asia, Europe and the USA. As the leading association for business intermediaries, it advances professional development, educates, develops resources and promotes the highest ethical conduct. It sponsors national educational programs and collaborates in grassroots programs benefiting business communities across the country. Top brokers and intermediaries around the world belong to the IBBA. IBBA awarded Jim Afinowich and John C. Johnson life member status for exceptional leadership and service to the business brokerage profession. IBBA, the world's largest association for professionals in business brokerage and mergers and acquisitions, has more than 1,200 active intermediaries across Canada, Mexico, Asia, Europe, and the United States. It is a group for leading professional associations, creating education, resources, and development for business intermediaries. John Zayac, Jim Afinowich, Gary Papay and John C. Johnson hold the Certified Business Intermediary (CBI) designation. Earning and maintaining a CBI is a clear commitment to performing at the profession's top levels. It is held and maintained by the industry's top 10 percent of business broker professionals. Requirements include education, tenure, experience and comprehensive testing; maintaining the CBI demands continuing professional education plus professional activities and development designed to keep intermediaries informed and performing at peak professional levels. It is the most recognized credential for business brokers and intermediaries, nationally and internationally. It is impossible to be "all things to all clients." At times, the business consultant's role requires referring the client's business needs to others better positioned to address the specific issues. ISBA provides a dynamic and vast network of qualified, knowledgeable, and credentialed business valuation professionals. In addition, business valuation courses and instruction center on the International Glossary of Terms ... the business valuation standard. The Tulsa Metro Chamber annually awards this honor to one leading financial services professional who exhibited leadership in activities impacting the business community by advocacy in financial services. It was awarded to John C. Johnson, founder of IBG Business. To learn more about selling a closely-held midsize business, see Selling a Business. To understand how to most effectively utilize an M&A Broker to help you find the right business acquisitions, see Buying a Business. Check out IBG's Track Record and The Firm to fully understand the benefits of entrusting IBG Business with your business transition. To learn what you can expect as an IBG client in our clients' own words, see Client Comments.